Lately one of the most frequent things I hear from June is “I good helper Mommy! I help!” Today she was helping with the vacuum. 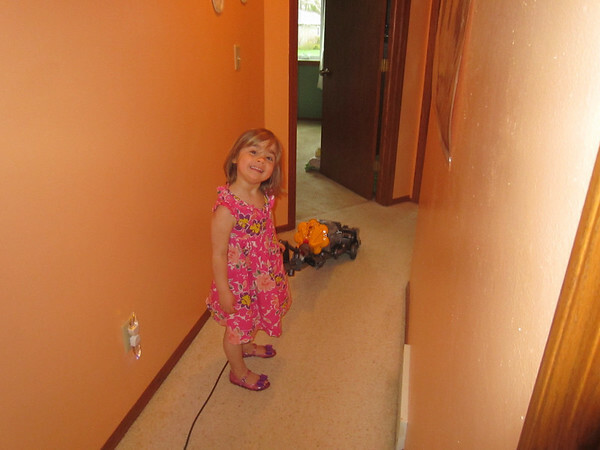 Of course one does vacuum best with sparkly jelly shoes and a flowery dress.